Dr. Frederic (Fred) Grant a senior educator and advisor to a number of public health agencies including the Centers for Disease Control and Prevention (CDC). Prior to joining Walden University as a contributing professor, he served as an Assistant Dean to a leading school of public health, prior to that he was Chief Scientist and senior program manager of Northrop Grumman Corporation’s Public Health Division—which provided advanced public health and informatics solutions for government and commercial clients. Dr. Grant areas of interest include public health administration, environmental health and bio-surveillance areas including such things as: CDC--heat waves and the national environmental tracking network, infectious disease modeling and public health laboratory operations, NOAA--gulf oil spill, FDA—food borne illnesses and pathogens, and the Department of Homeland Security--public health emergency preparedness/climate change/climate and vector-borne diseases. Dr. Grant received his PhD from Capella University, an MPH from Emory University, an MBA from Georgia State University and a BS from Ohio State University. Dr Grant is an elected member of the Delta Omega Public Health Honor Society. He has a number of publications and presentations on public health related topics including environmental health. Dr. Grant has over 10 years experience teaching and 38 years’ experience as a consultant and executive leader. 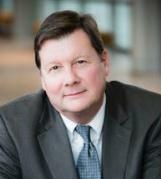 Dr. Grant is a Project Management Professional (PMP) and a Certified Data Processor (CDP).